Major Buster Cushing currently serves as the Field Operations Commander for the Cherokee Sheriff’s Office. His command encompasses the Divisions of Uniformed Patrol, Special Operations, and Criminal Investigations. Throughout his career he served many roles including Narcotics Supervisory Agent, SWAT Team Leader, Uniformed Patrol Shift Supervisor, Precinct Commander, Internal Affairs Supervisor, and Commander of Criminal Investigations. He began his law enforcement career with the Early County Sheriff’s Office in 1996, serving as a Deputy Sheriff. Buster has a Bachelor’s degree in Criminal Justice from the University of Georgia and a Master’s of Public Administration from Columbus State University. He is a graduate of the 24th session of the Georgia International Law Enforcement Exchange program which required training in Israel. Buster is a Board Member of the Cherokee County Department of Family and Children Services. He is also a member of Canton Rotary, Cherokee Chamber of Commerce, Leadership Cherokee 2017, and a Boy Scout Counselor. He is married with two children and they attend Revolution Church in Canton, Georgia. 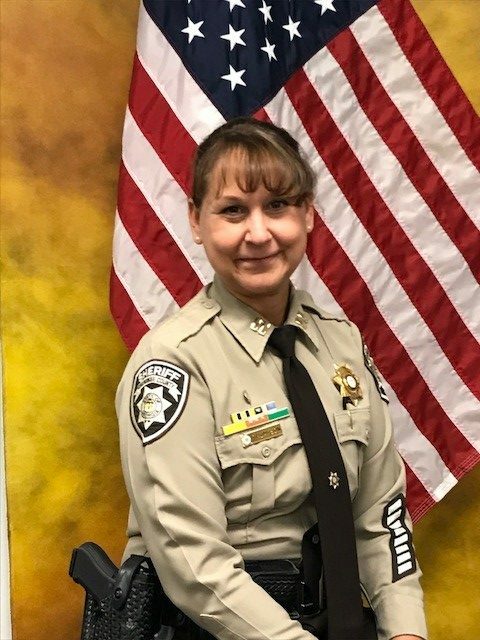 Major Dana Martin grew up in Cherokee County and began her career as a Deputy Sheriff with the Cherokee Sheriff’s Office in 1997. Working up through the ranks in a variety of roles, she currently serves as the Commander of Headquarters Operations. 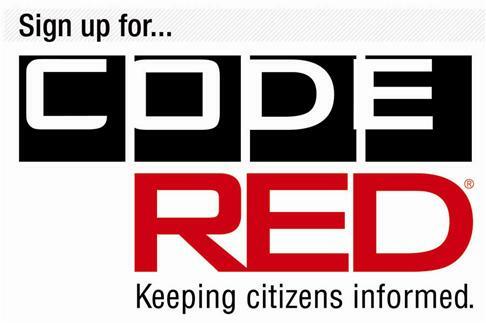 Major Martin is responsible for the Office of Professional Standards and Administrative Services Division which includes Accounting, Budgeting, Human Resources, Central Records, National Accreditation / State Certification, and Property /Evidence. Dana earned her Bachelor’s degree from Kennesaw State University, and her Masters of Public Administration degree from Columbus State University. 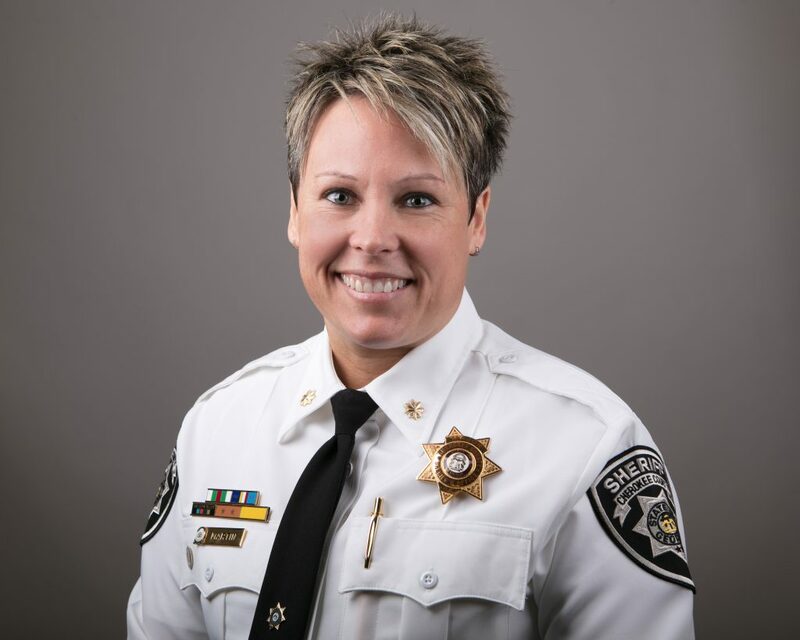 She is a graduate of the FBI National Academy Class #255, Columbus State University’s Professional Management Program, FBI LEEDA Trilogy, IACP Women’s Leadership Institute, Georgia LEEDS, Leadership Cherokee 2006, and is a member of the Cherokee Chamber of Commerce. She is married, with one son and they attend Pilgrimage United Church of Christ and live in Canton, Georgia. 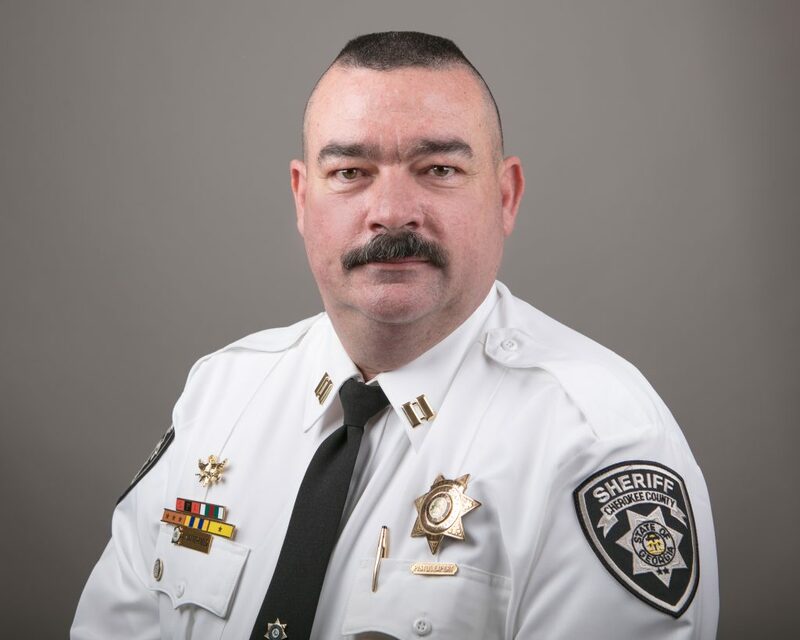 Major William J. Smith is currently the Jail Administrator at the Cherokee Sheriff’s Office, who directly oversees the Adult Detention Center and the Cherokee Justice Center. He started his career with the Sheriff’s Office in 1999 after graduating with a Bachelor’s Degree in Criminal Justice from Jersey City State College. He currently has a Master’s Degree in Criminal Justice from Southwest University and a second Master’s Degree in Public Administration, at the Georgia Law Enforcement Command College in Columbus Georgia. Major Smith is also a graduate of the FBI National Academy, class #257. His assignments with the Sheriff’s Office began at the Adult Detention Center where he became a DTO (Detention Training Officer). Major Smith then moved onto various Precincts in Uniform Patrol where he became an FTO (Field Training Officer), Warrant/Civil Unit Commander, joined the agency’s SWAT TEAM where he held the position of Swat Commander, held the position of Agent with CMANS (Cherokee Multi Agency Narcotic Squad) and Training Director for the Cherokee Sheriff’s Office. Captain Joe Satterfield currently serves as the Commander of the Uniform Patrol Division. He is responsible for supervising patrol activities at each of the five patrol precincts located throughout Cherokee County. Captain Satterfield began his career with the Sheriff’s Office in the Adult Detention Center in 1993. Since then he has served in various leadership roles in Traffic, Patrol, Training, SWAT, and Special Operations. He has served as the Division Commander for Training, Special Operations, and Patrol Divisions. Captain Satterfield has an Associate’s Degree in Criminal Justice and a Technical Degree in Law Enforcement from Abraham Baldwin Agricultural College, a Bachelor’s of History from Reinhardt University, and a Master’s of Public Administration from Columbus State University. He has also completed the State of Georgia Command College and Columbus State University Professional Management Programs. Captain Satterfield is a graduate of the 139th Administrative Officer’s Course of the Southern Police Institute at the University of Louisville, Ky. He is a member of the Georgia Association of Chiefs of Police and the Southern Police Institute Alumni Association. 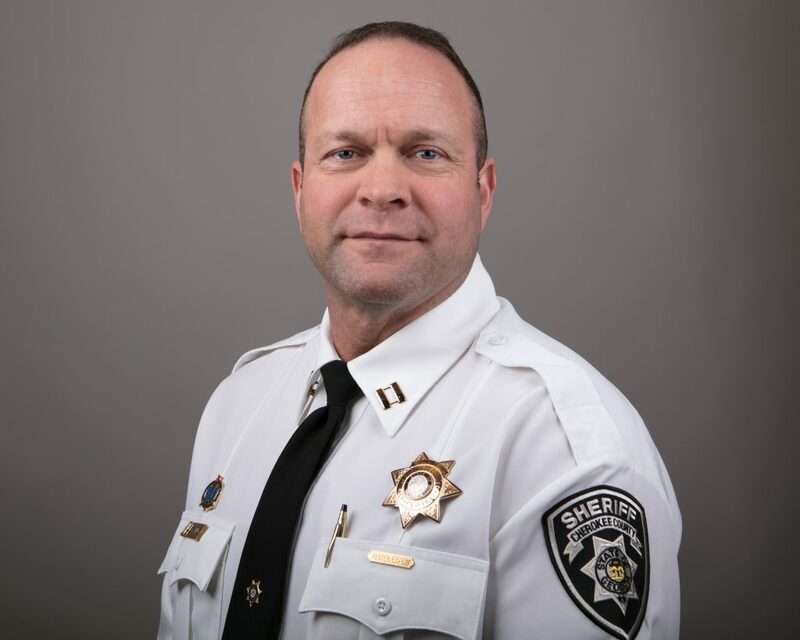 Captain Satterfield is a lifelong resident of Cherokee County and has been married to Cindy Watson Satterfield, a Cherokee County elementary school teacher, since 1994. They have two children, Lily and Joseph, that they are very proud of. Captain John New began his career with Cherokee County in 1993 as a 911 Dispatcher. Captain New eventually went on to work as a Deputy Sheriff in the Adult Detention Center, Uniform Patrol, and Narcotics Investigations. Captain New joined the Agency’s SWAT Team in February of 2000, where is he currently serving as the Team Commander. Captain New is also in charge of Special Operations. This division consist of the Traffic Enforcement Unit, Motor Cycle Unit, K9 Unit, Hostage Negotiation Team, Warrant Unit, Strike Team, The Reserve Unit, S.W.A.T. and VIPER. Captain New is a graduate of the Professional Management Program, hosted by Columbus State University. Captain New graduated for the 261st Session of the FBI National Academy and is currently pursuing a bachelors degree. Captain Sims began his law enforcement career in 1997 with the Cherokee Sheriff’s Office in the Adult Detention Center. Captain Sims has served in many leadership roles including Precinct Commander over two precincts, Assistant Division Commander in Criminal Investigations, Assistant Division Commander for Training Unit and Internal Affairs Supervisor. Captain Sims was assigned to the Multi-Agency SWAT team for 18 years, where he was the Sniper Team Leader. He holds a Bachelor’s of Arts Degree in Organizational Management-Leadership from Reinhardt University, a Master of Public Safety Administration from Columbus State University and is a graduate of the Columbus State University Professional Management Program. Captain Sims holds multiple POST certifications to include state General Instructor and Firearms Instructor. Captain McMahan began his career with the Cherokee Sheriff’s Office in 1993, after being Honorably Discharged from the United States Navy. He holds a Bachelor of Arts degree in Organizational Management – Leadership from Reinhardt University. Captain McMahan is presently pursuing a Master’s Degree in Public Safety Administration through Columbus State University’s Command College Program. Captain McMahan previously served in the Uniform Patrol Division. Captain Tommy Pinyan currently serves as the Commander of the Criminal Investigations Division. He is responsible for supervising the Property Crimes, Financial Crimes, Crimes against Children, Crimes against Persons, Intelligence and Forensics Units. 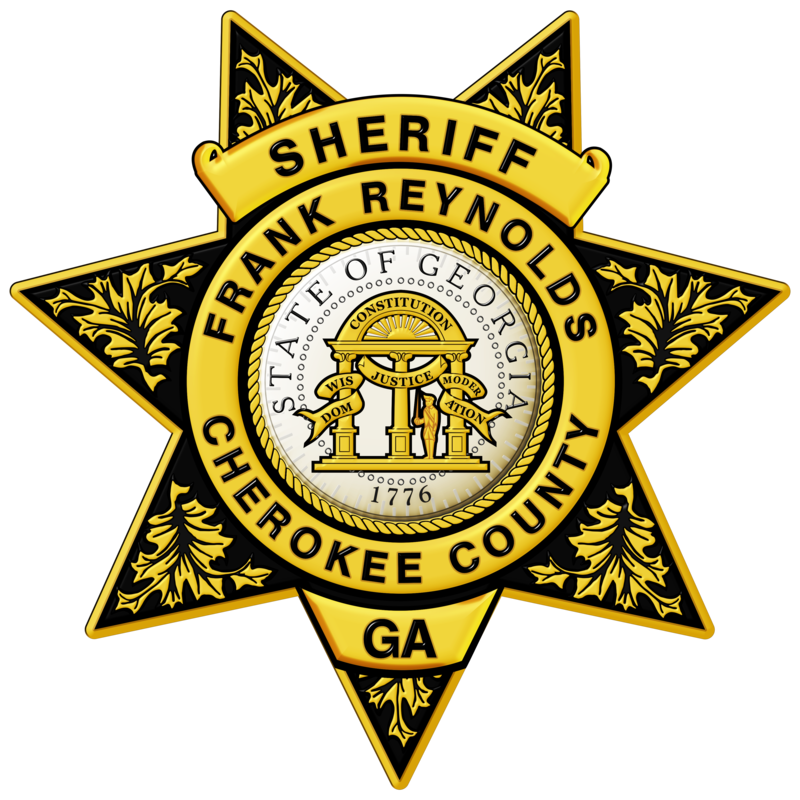 Captain Pinyan, a lifelong resident of Cherokee County, started his law enforcement career with the Cherokee Sheriff’s Office in 1994 as a Detention Officer. Throughout his career he has served in many leadership roles including Uniform Patrol Precinct Commander, K-9 Unit Commander, Criminal Investigation Commander, Narcotics Deputy Commander and Internal Affairs Supervisor. Captain Pinyan is a graduate of the FBI National Academy, class # 266. He holds a Bachelor’s of Science Degree in Justice Studies from Georgia Southern University, a Master of Public Administration from Columbus State University and is a graduate of the Columbus State University Professional Management Program. Captain Pinyan has Intermediate, Supervision, and Managerial POST certifications. Captain Pinyan is married, with two children and they are members of Canton First United Methodist Church. He also volunteers as an Assistant Scoutmaster with the Boy Scouts of America. 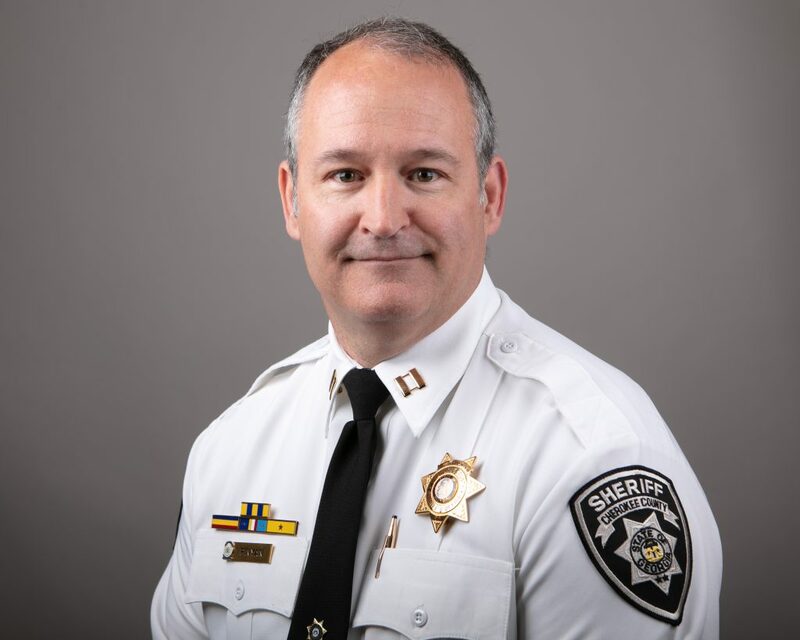 Captain John Gunning is the Director of Training at the Cherokee Sheriff’s Office. 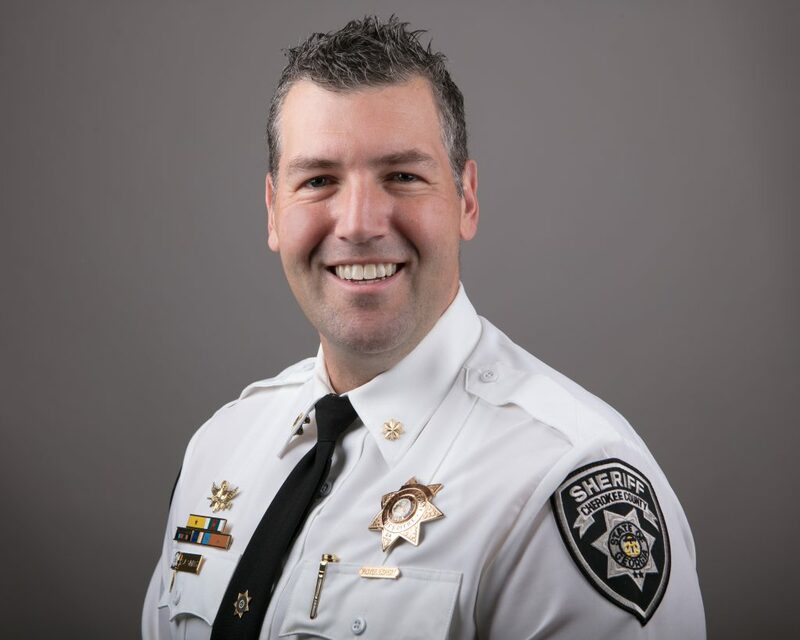 His responsibilities include developing, implementing and managing all training and education for the Sheriff’s Office. He began his law enforcement career with the Rome Police Department in 1996 as a Patrol Officer and continued working in law enforcement narcotics interdiction while serving with the military until 2016. 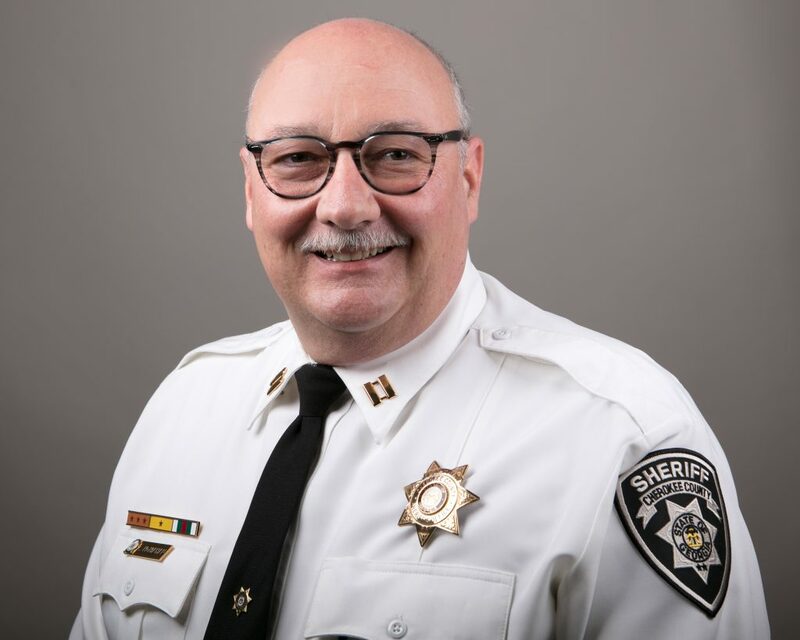 Upon his military retirement, Captain Gunning joined the Cherokee Sheriff’s Office after serving for 28 years in the United States Army and National Guard. 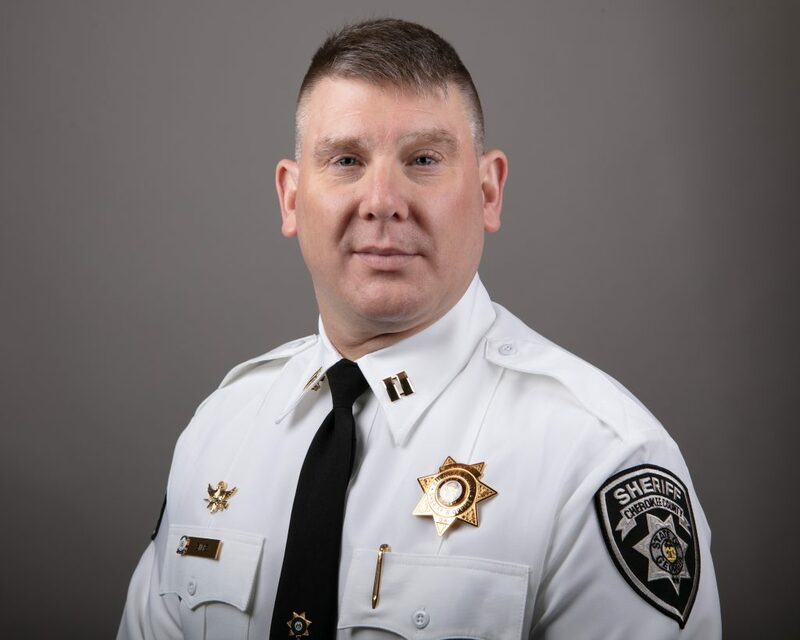 Captain Gunning retired as the Brigade Command Sergeant Major of the 201st Regional Support Group Homeland Response Force and has over 24 years of law enforcement experience ranging from uniformed patrol to narcotics interdiction. 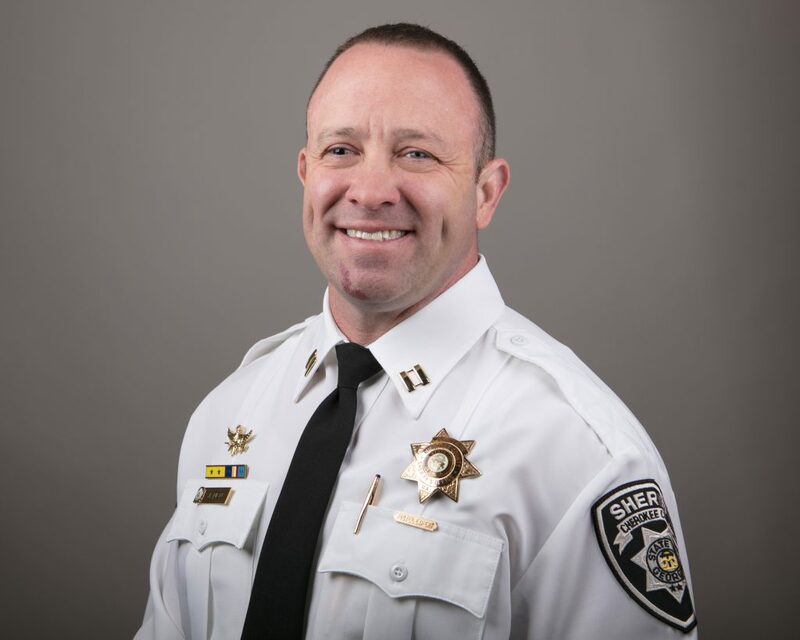 Captain Gunning is a graduate of The United States Army’s Sergeants Major Academy and holds numerous law enforcement and military instructor certifications. Captain Gunning is currently pursuing a bachelor’s degree. Captain Daniel Higgins currently serves as the Assistant Jail Commander. He is responsible for the daily operation of the Cherokee County Adult Detention Center. 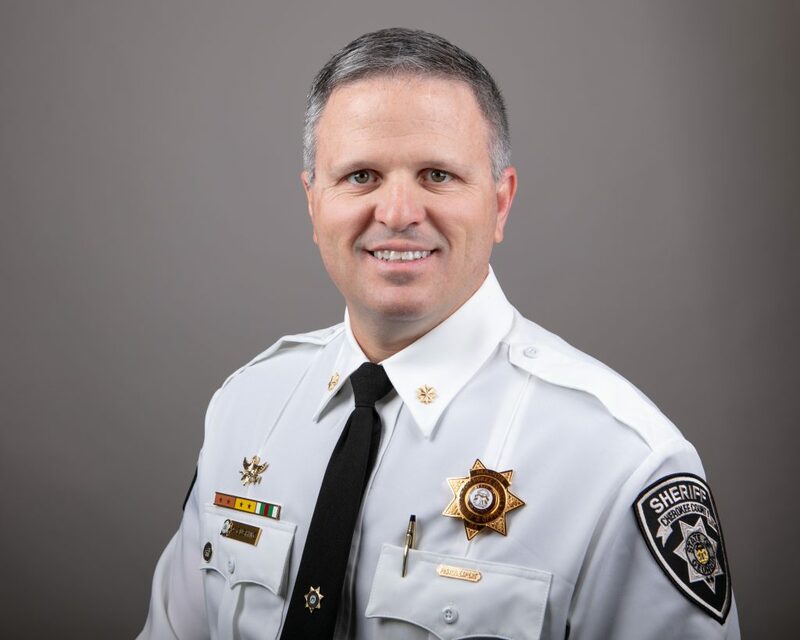 Captain Higgins’ career began in 1997 with the Cherokee Sheriff’s Office after serving four honorable years in the United States Marine Corps. Captain Higgins started in the Adult Detention Center and throughout his career, he served in many leadership roles including supervisor of the county’s Traffic Unit, Uniform Patrol Precinct Commander, Internal Affairs Supervisor, and Assistant Team Leader on the S.W.A.T Team. He spent time in the Narcotics Division as well. 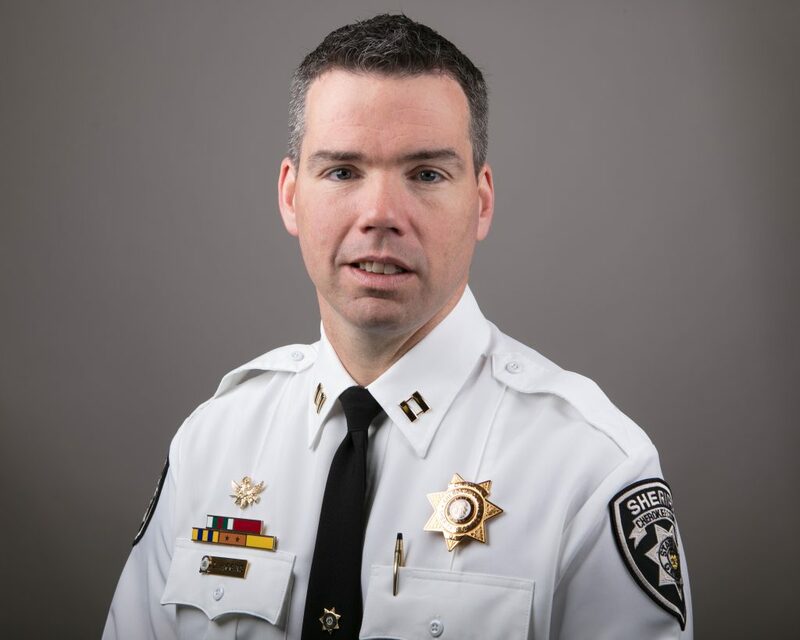 He holds a Bachelor’s of Arts Degree in Operational Management Leadership from Reinhardt University, a Master of Public Safety Administration from Columbus State University and is a graduate of the Columbus State University Professional Management Program. Captain Higgins has Supervision and Managerial POST certifications. Captain Thompson started her law enforcement career with the Cherokee Sheriff’s Office in 1994 as a CMANS Agent. Throughout her career, she has served in leadership roles in these departments; Uniform Patrol, Adult Detention Center, Criminal Investigation. Captain Thompson is a graduate of the FBI National Academy, class #235. She holds a Bachelor’s of Science Degree in Business Administration from the University of Southern Indiana, a Master of Public Administration from Columbus State University and is a graduate of the Columbus State University Professional Management Program. Captain Thompson has two children and is active in the Boys Scouts of America. She also participates in her community social organization.